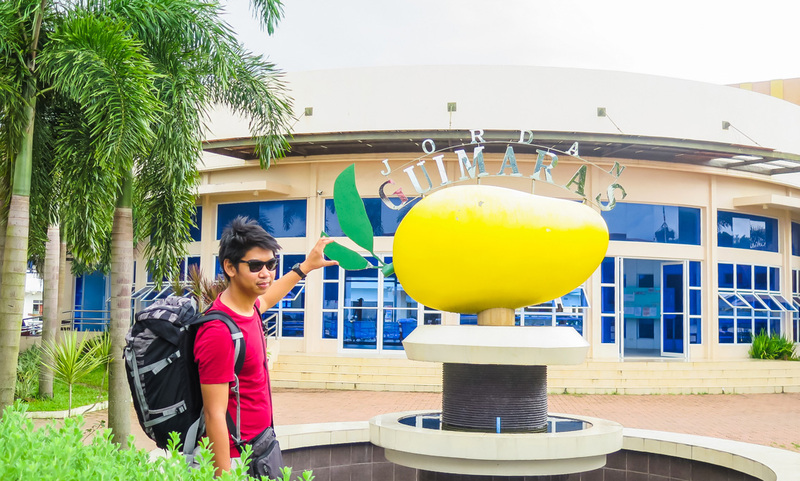 When I think of Guimaras, I always thought of the sweetest mangoes in the world. 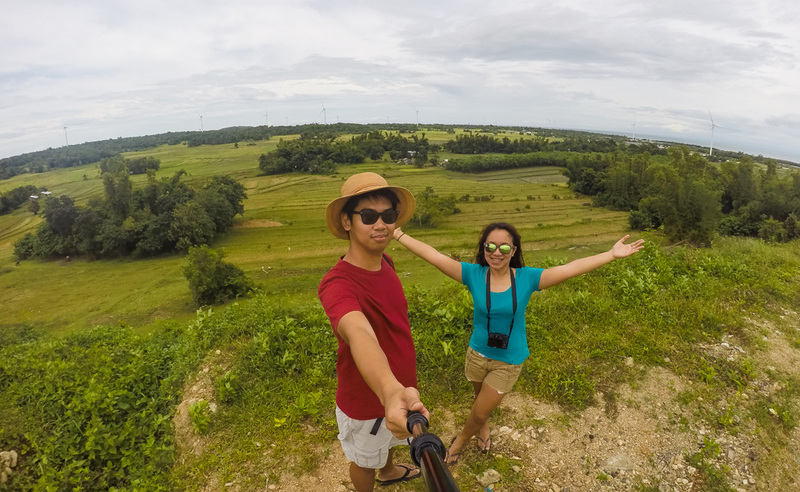 But, aside from the sweetest mangoes in the world, there are a more to see in Guimaras. 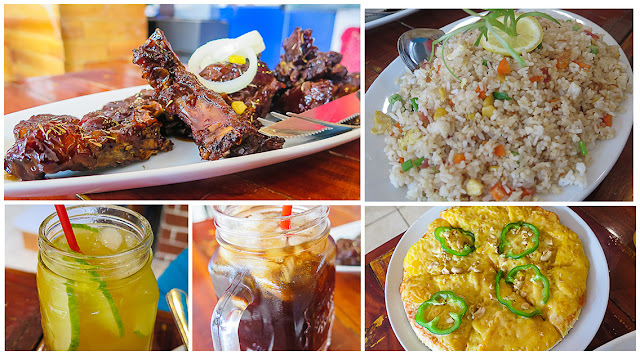 Let me share with you, our day of exploration on the island of Guimaras. 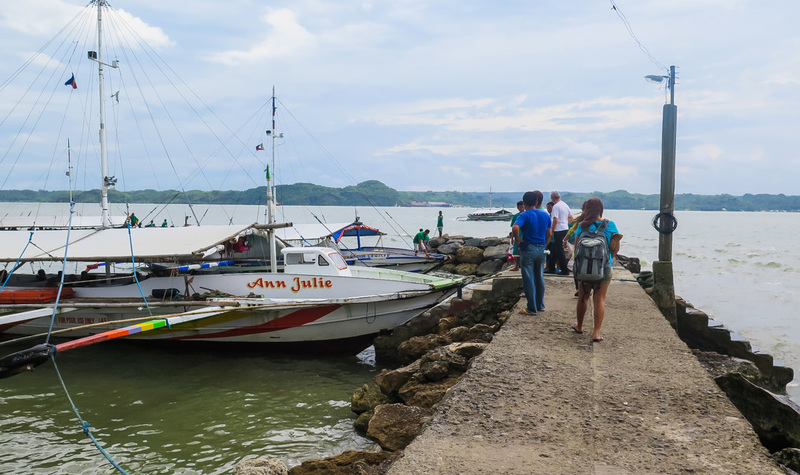 Guimaras is just a 15-minute boat ride from Iloilo. We arrived at Guimaras around 10 in the morning. 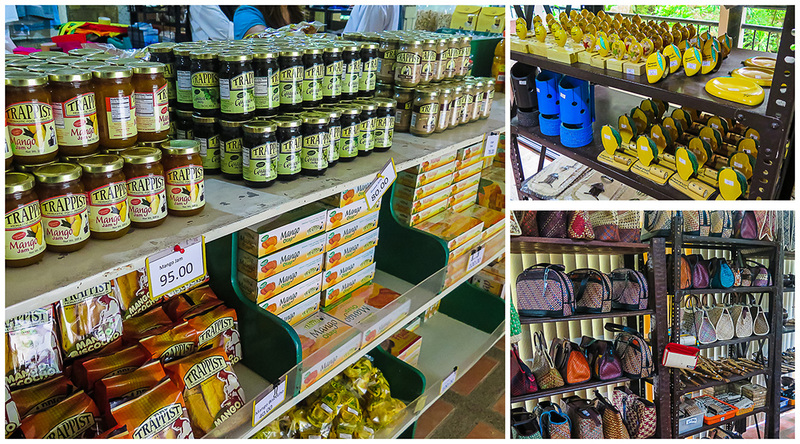 After arriving at Jordan Port, we were guided to the tourist information center. They provided us some information about transportation around the island and some accommodations and resorts. 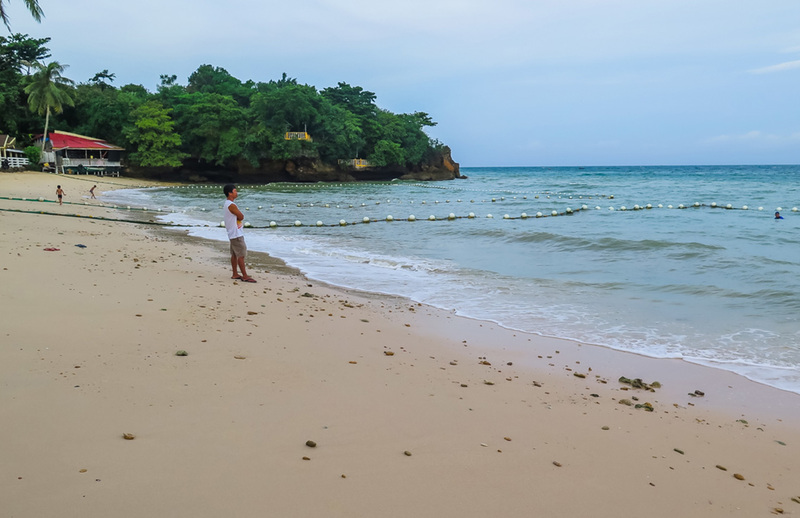 If you will be staying at Alubihod beach, you need to ride a vehicle going to the beach from the port. 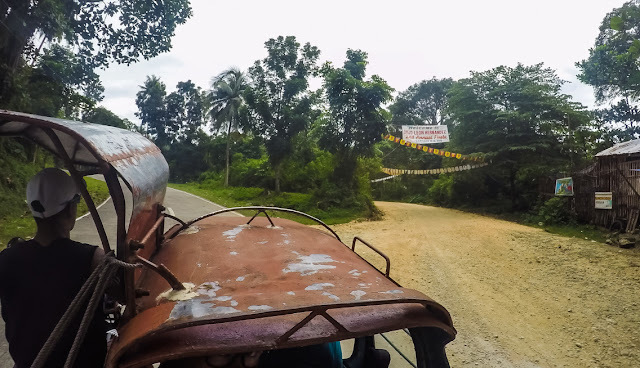 You can rent a tricycle (multicab for 5 persons or more) to take you directly to your resort, or commute via jeepney to the town proper and ride again going to your resort. At first, we decided to just go commute since it's cheaper. But the persistent tricycle drivers changed our mind since they also offered us to tour around the island. 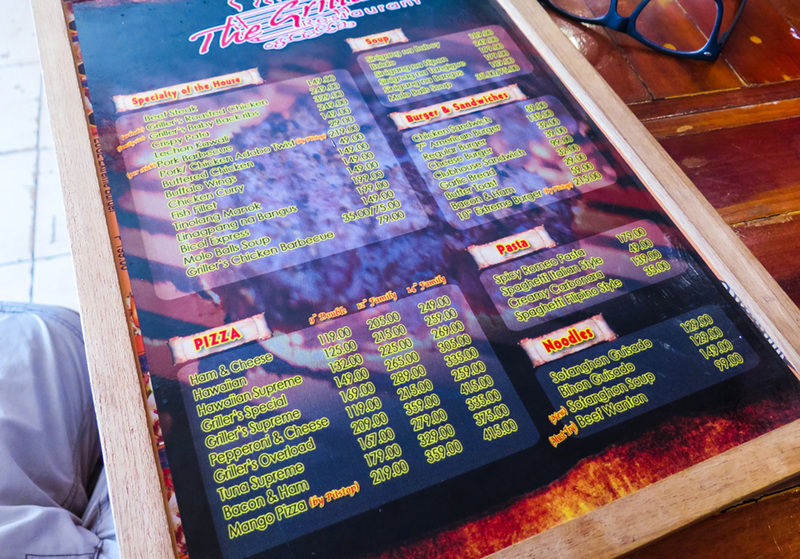 They usually charged PhP 1200.00 to 1500.00 for the whole day tour, we got ours for PhP 1300.00. 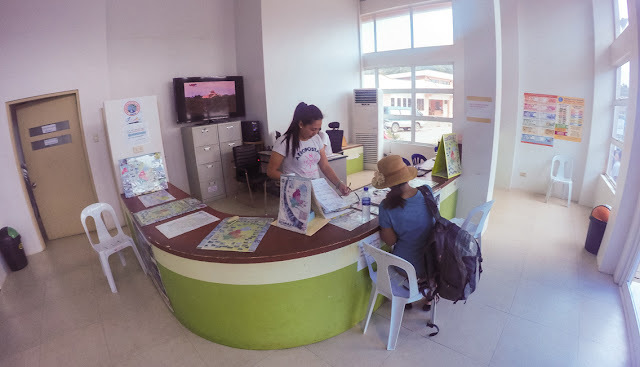 So we asked for a map in the tourist information center and they marked all the possible spots we could go to. Our tour started without me know that it already started LOL. 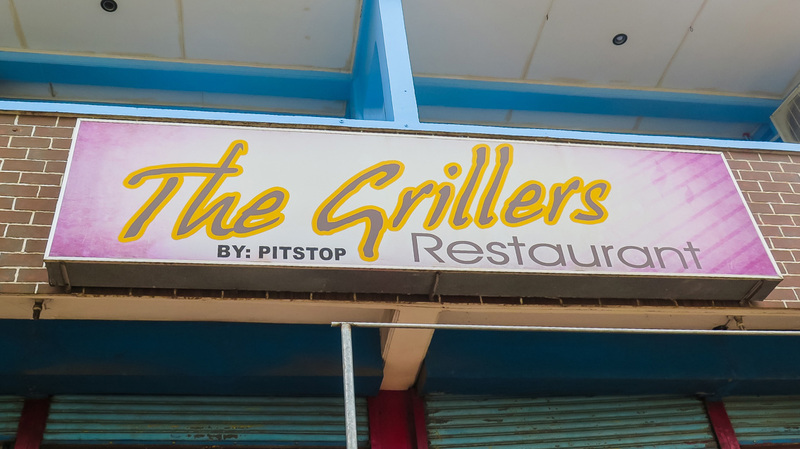 Not far from Jordan Port, our tricycle stopped and our driver points out our first tour destination. The Smallest Plaza used to be in the Guinness Book of World Records before as the you guessed it, the smallest plaza in the world. 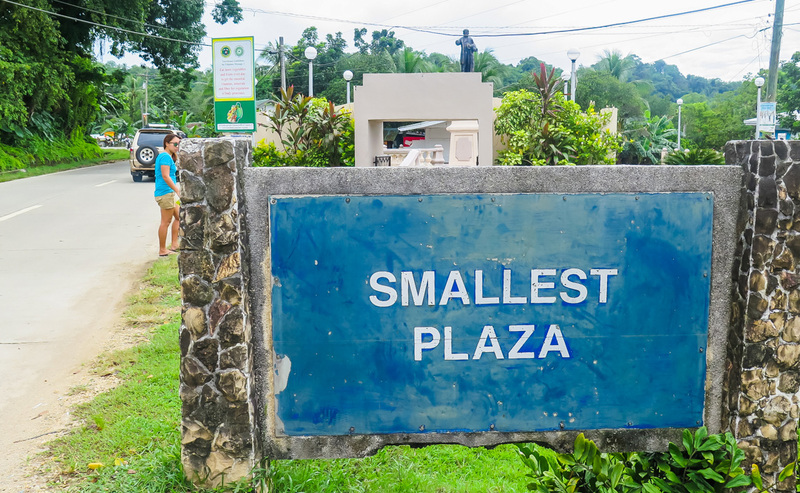 Today it is not the smallest in the world, but the smallest in the Philippines. The next destination in the tour is around 45-minute ride from the port. The giant windmills in the town of San Lorenzo is a new attraction in Guimaras. 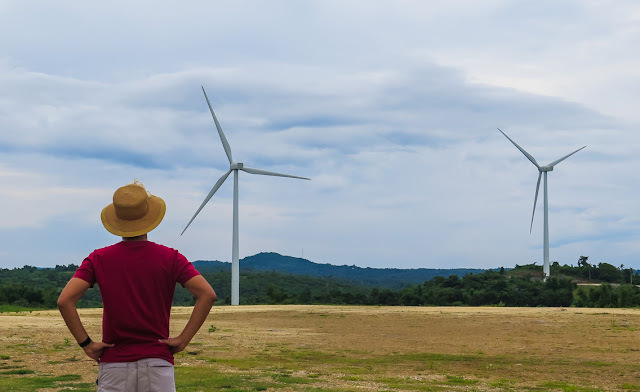 There are 27 windmills in San Lorenzo that are scattered around. 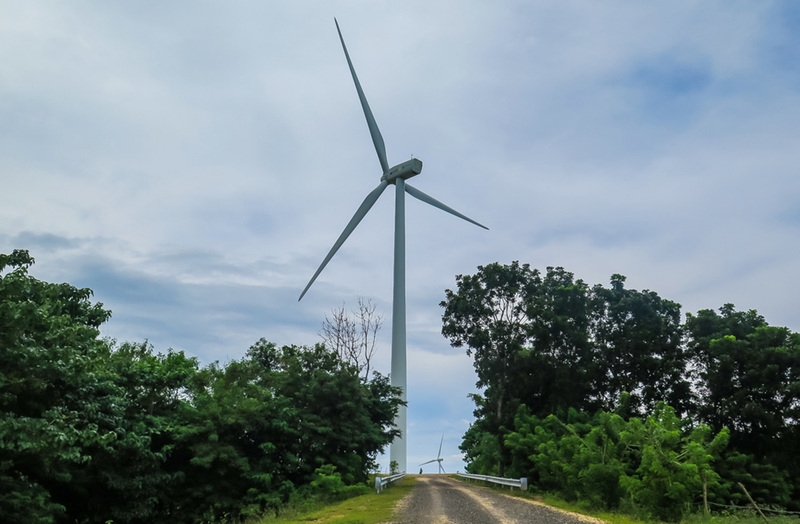 You can see one at the side of the road, and others are in a hill. The project aims to build a total of 54 windmills in the whole island. Our tricycle driver took us to a spot where a windmill stands. 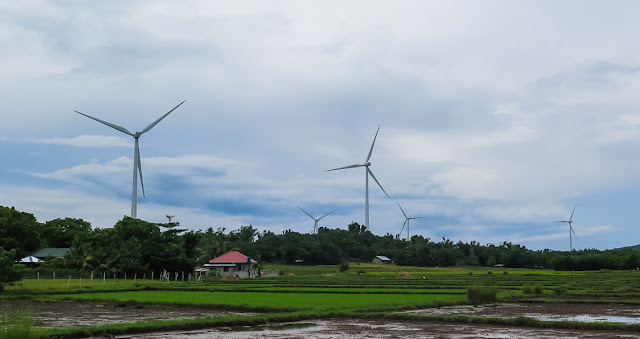 The area is on a higher ground so it gives a great view of the other windmills as well as the island of Negros. 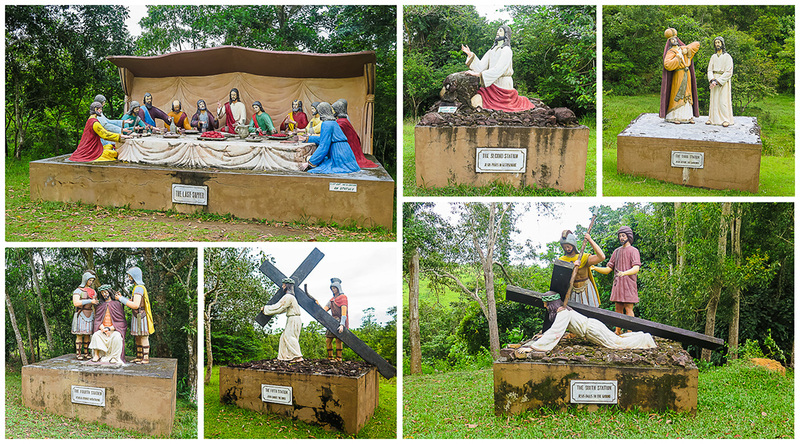 Next on the tour is also located in San Lorenzo. A rough 30-minute ride and we reached Holy Family Hills in Brgy. Tamborong. 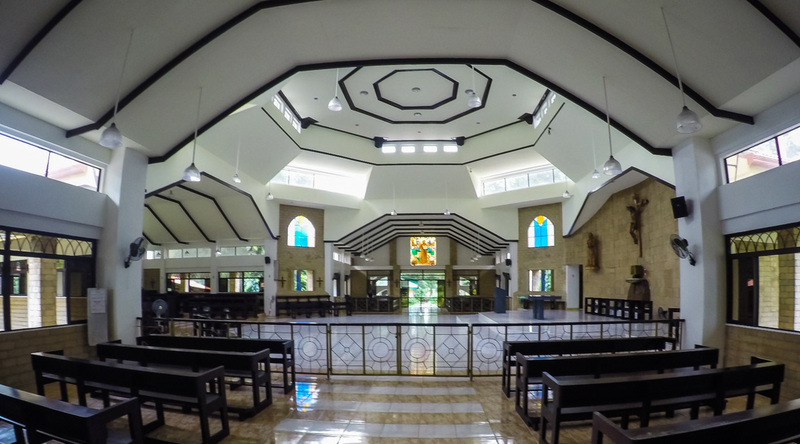 Holy Family Hills is a 52-hectare land with some various religious structures. 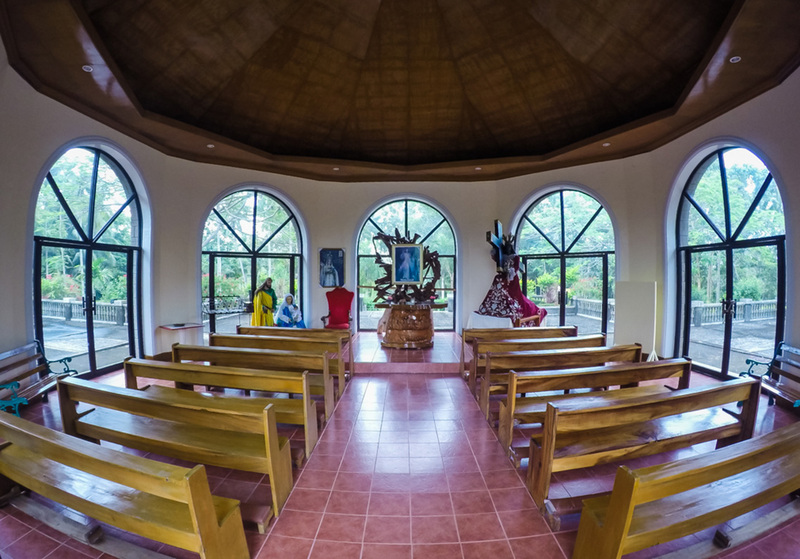 It is a place for a spiritual renewal. It reminded me of 'Kamay ni Hesus' in Lucban, Quezon. After San Lorenzo, we went back to Jordan and stop by at the Guimaras Adventure Park. 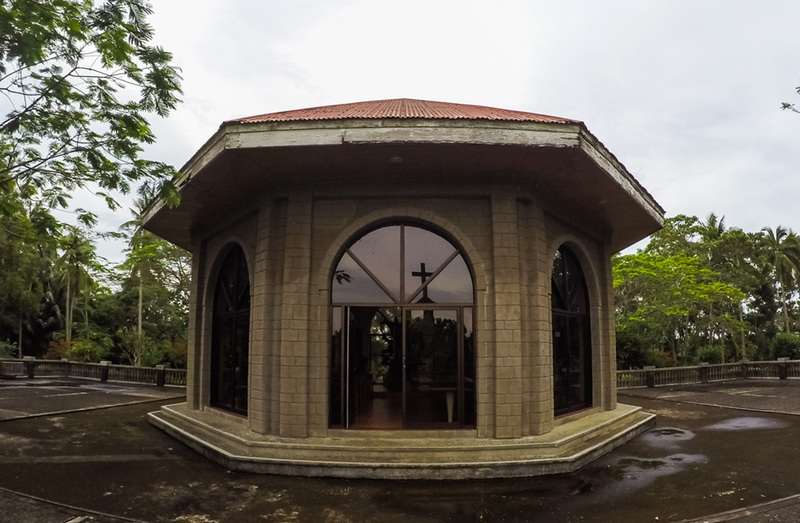 We didn't recognize the place as there is no sign or banner in the entrance. I'm also not sure if it's still open LOL. 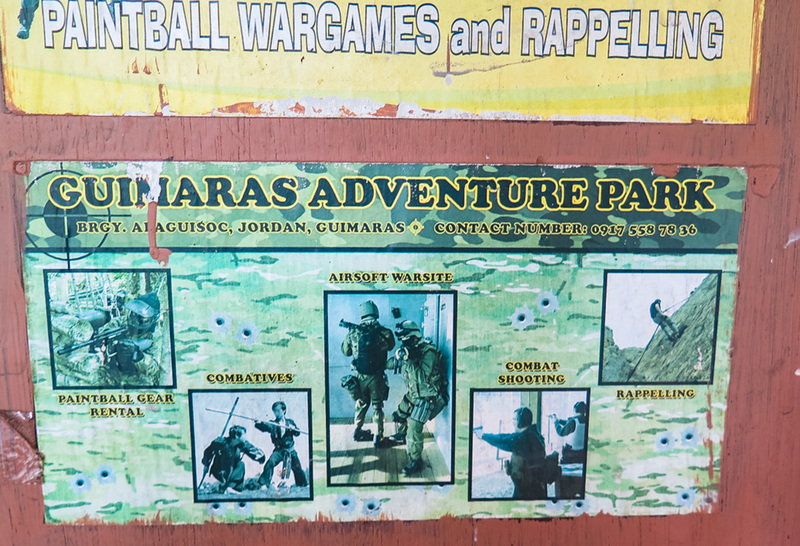 Anyways, they offer here outdoor activities like paintball, airsoft, rappelling and more. San Miguel or locally known Alibjon is where the provincial government center and business establishment is located. It is passed lunchtime and we were hungry, so time to pig out. 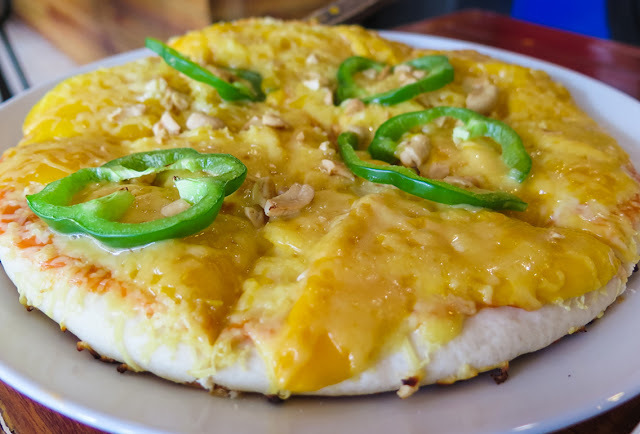 We were supposed to go to Pitstop Restaurant, but it's crowded at that time, so our driver took us to Grillers where they also serve Pitstop's famous mango pizza. Trappist Monastery is also located in San Miguel. 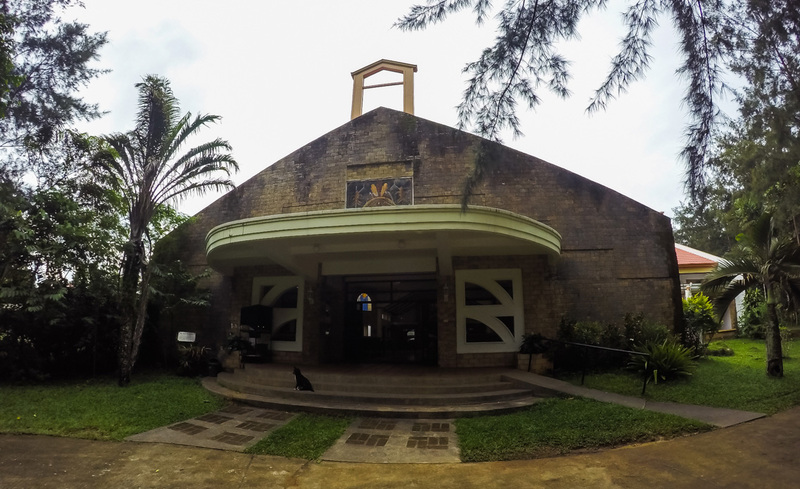 It is the only Trappist monastery in the Philippines, which is run by monks. The monastery is popular for their gift shop where they sell their own products like dried mangoes, Mango Otap, Mango Jams, their best seller Mango bars and more under the brand "Trappist Monastic Products". 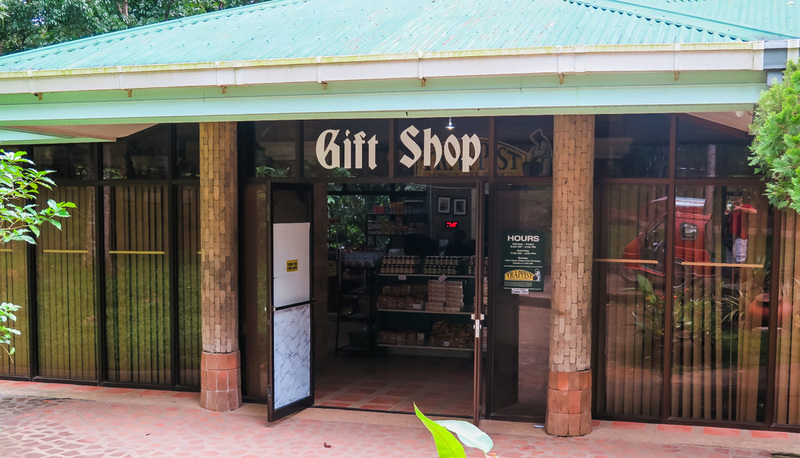 They also sell souvenirs like ref magnets and religious artifacts. 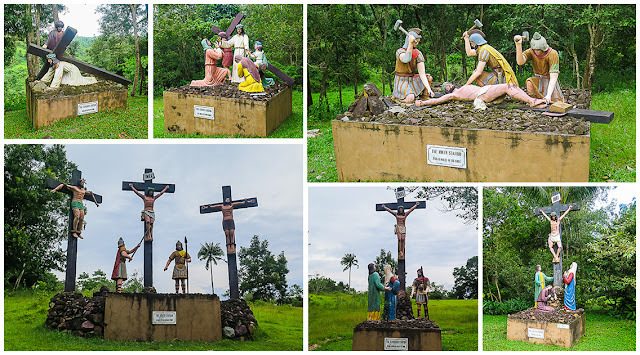 Not far from Trappist Monastery is a place where you can have an extreme adventure. 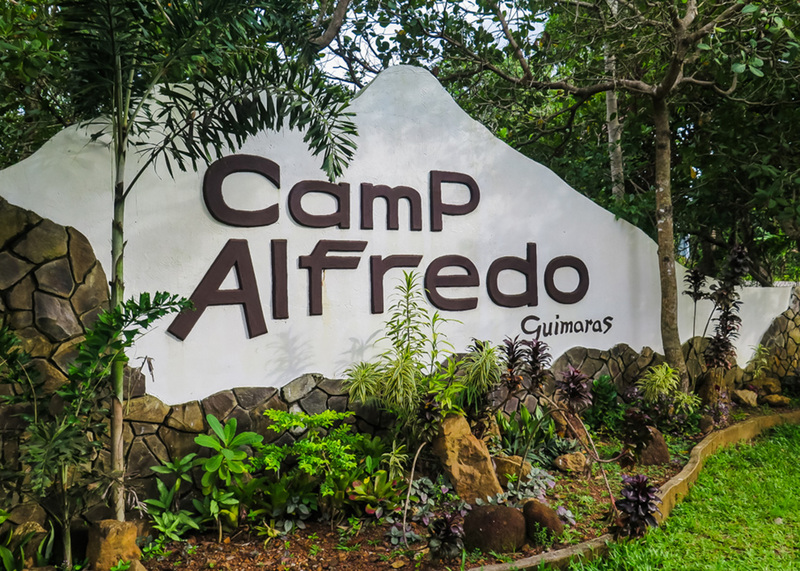 Camp Alfredo in Brgy. 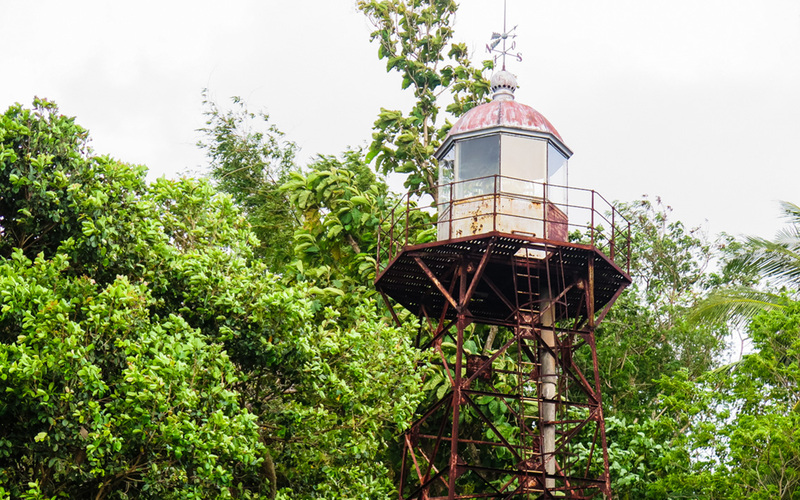 Ravina in Sibunag offers activities like rappelling, zip line, obstacle course and crossing a hanging bridge. They also have a pool and also offers accommodation. We didn't go inside since they have an entrance fee. The day is almost done and we were up to our second to the last destination which is probably the farthest also. 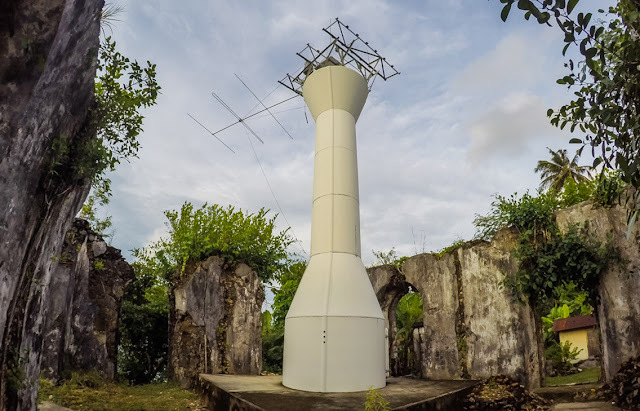 Guisi Lighthouse is located in Brgy. 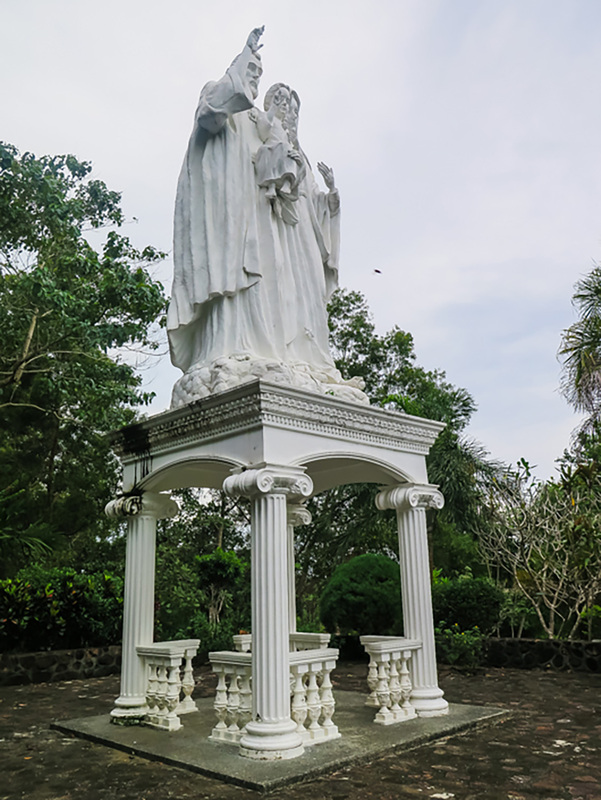 Dolores, Nueva Valencia. The road going here is also kinda rough. The lighthouse is the second oldest lighthouse in the country. 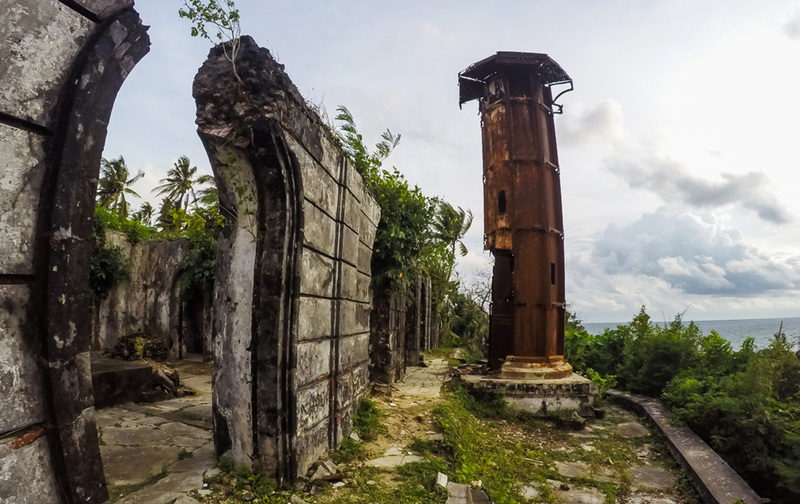 The 18th-century Spanish-colonial lighthouse stands beside the ruins of a Spanish outpost. Guisi beach is just below the lighthouse where there are also resorts that you can stay. 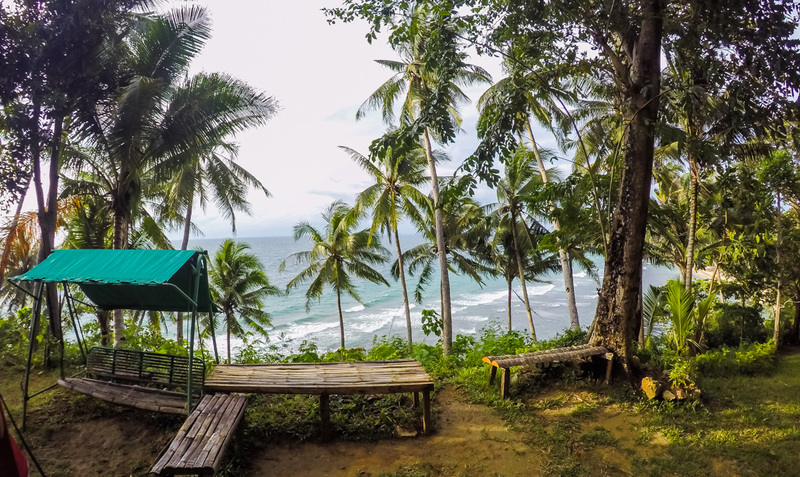 For the last stop in our tour, we went to Sitio Alubijod, where the beach is and where we also spent the night. 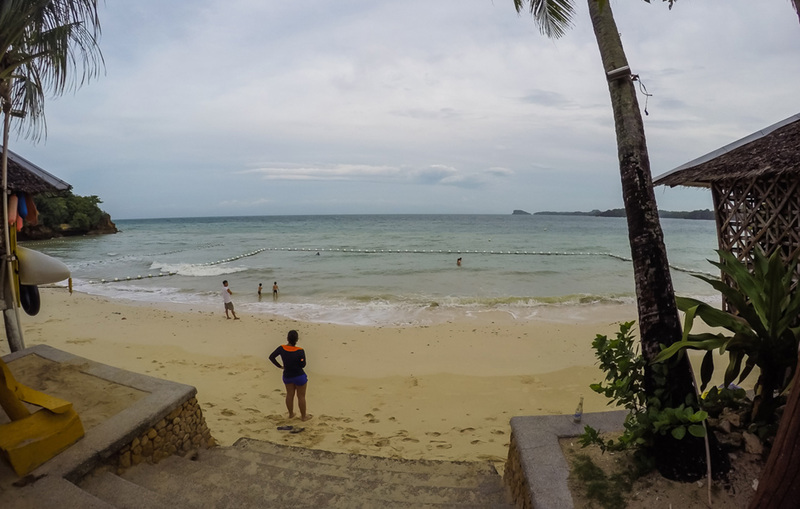 There are several beach resorts in the area and a popular one is Raymen Beach Resort, where we stayed. Alubijod is a jump-off point for the island hopping activity. The beach is short but still has a nice creamy sand and nice blue waters. A day is not just enough to explore the beautiful island of Guimaras, but this experience is truly a wonderful one. 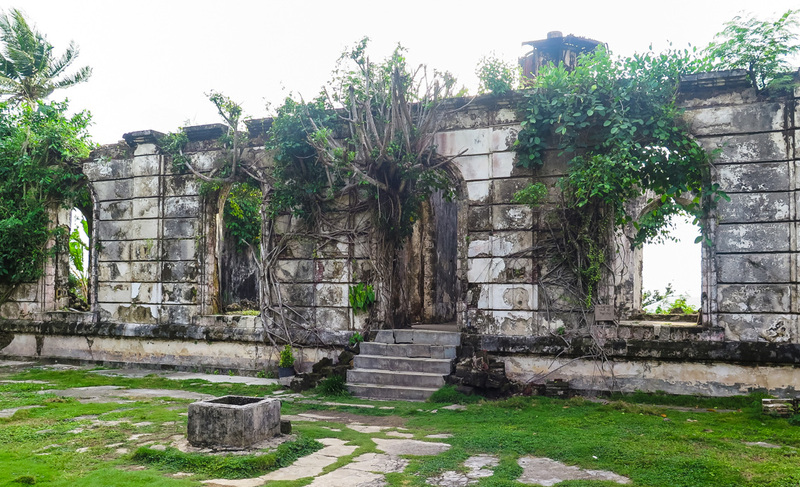 I hope you got some ideas on what to do and visit in Guimaras, thanks for reading! 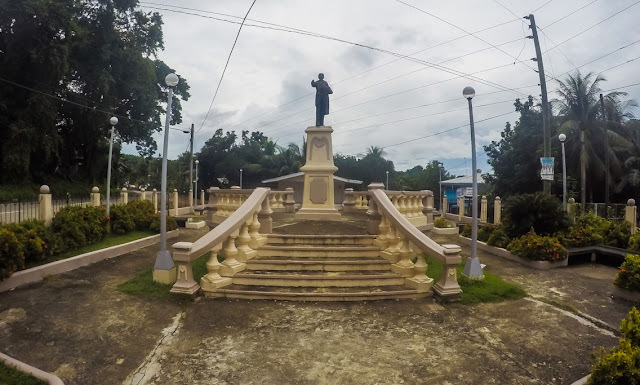 Iloilo - The City of Love: A Walking City Tour!